Customer Picture Number 26 Selected. 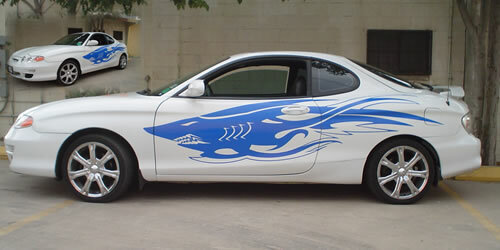 Cool Car decals applied. Hyndai Tiberon with a Very unique Hand Drawn Shark Design. One-of-a-Kind!